We bring artistry back to outdoor lighting. We will give you a landscape lighting demo prior to starting and offer a lifetime warranty. Competitively priced. Servicing Berwyn IL area. 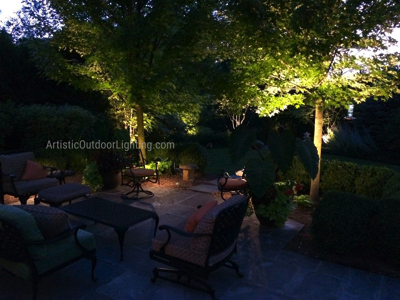 We are your premier source for Berwyn landscape lighting and outdoor lighting. As 5-time Angie's List award winners serving you for 18 years, we offer 10 year guarantees on all installations and a free in-yard demonstration. We are experts in LED outdoor and landscape lighting and offer the highest level of attention to detail. It has been proven when an intruder see light, he will move on to a darker area. Artistic Outdoor Lighting will not only enhance the beauty of your home ,and landscape surrounding it, but your outdoor lighting will get the added benefit of security. When you feel safe, you are more likely to enjoy life, especially when home alone. Along with that, the ambient light around your home will make paths and walkways safer for you, your family, and guests.